It is one of a lawyer’s worst nightmares: missing a limitation period. It can be a very easy mistake to make and yet the consequences can be enormous. There are numerous “pitfalls” that can lead to missed limitation periods and other limitation period problems. Some of these pitfalls are relatively easy to avoid whereas others can trip up even the most skilled and careful of lawyers. The following is an overview of some of the more common limitation period pitfalls that lawyers encounter and some tips on how to avoid these pitfalls (Download a PDF of this article). Some of these pitfalls should be fairly obvious (but still need to be mentioned) whereas others may not be so obvious. While this article is primarily intended for litigators, some of the pitfalls that are discussed can be encountered by non-litigators. When considering that most claims are subject to the 2 year limitation period set out in the Limitations Act, 2002, lawyers can become overly focused on this 2 year limitation period and can lose track of other potentially relevant limitation periods. While the Limitations Act, 2002 applies to most Ontario causes of action, it is but one of over 40 Ontario statutes that impose limitation periods. Most of these statutes (and the applicable provisions with these statutes are listed in the schedule to the Limitations Act, 2002. Litigators should familiarize themselves with this schedule. Significantly, the schedule does not include limitation periods imposed pursuant to federal statutes and also does not include limitation periods arising from the statutes that are referred to in section 2(1) of the Limitations Act, 2002. 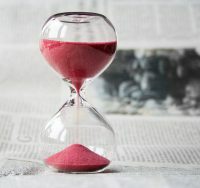 Some of the more frequently overlooked (and therefore dangerous) limitation periods include: i) the limitation period set out in section 38(3) of the Trustee Act, which applies to certain claims brought by or against the estate of a deceased person; ii) the 6 month limitation period for dependent’s relief claims that is set out in section 61 of the Succession Law Reform Act; and iii) the one year limitation period set out in section 259.1 of the Insurance Act, which applies to “a proceeding against an insurer under a contract in respect of loss or damage to an automobile or its contents”. Lawyers are also now starting to miss the 15 year ultimate limitation period that is set out in section 15 of the Limitations Act, 2002. This limitation period has only recently become an issue since the earliest date it could expire was January 1, 2019. So far, the cases in which the ultimate limitation period has potentially expired seem to mainly involve claims against professionals (presumably since claims against professionals can sometimes take many years to discover). Lawyers also need to watch out for limitation periods imposed by contracts. Such limitation periods tend to be fairly prevalent in standard form contracts including insurance policies and retainer agreements used by some professional firms (ie: large accounting firms). Contractually imposed limitation periods are also common in arbitration agreements. It can be dangerous for lawyers to rely on discoverability when determining when to commence litigation. Discoverability is a deceptively complicated concept that is not always treated consistently by the courts. There are often multiple valid arguments that can be made regarding when a claim was discovered or ought to have been discovered, and not all of these arguments may be immediately apparent. Moreover, lawyers may not always have a good enough understanding of the facts to be able to properly assess discoverability. Significantly, there are some limitation periods that are not subject to discoverability. Two of the most notable examples of this are: a) the 15 year ultimate limitation under the Limitations Act, 2002; and b) section 38(3) of the Trustee Act, which runs from the date of death of the relevant deceased person, regardless of discoverability. Discoverability may also not apply to some contractually imposed limitation periods, depending on how they are worded. It is not always clear whether a particular limitation period is subject to discoverability. If a limitation period provision provides that the limitation period starts running when the cause of action or damages occurred, or specifically refers to discoverability, then discoverability may well apply whereas if the provision provides that the limitation period starts to run at some other point such as the date of a death, discoverability may not apply. Being that discoverability is a complicated concept, and that some limitation periods are not subject to discoverability, the safest course of action is to issue lawsuits early enough that there is no need to rely on discoverability. In Jones v. Friedman, the Ontario Court of Appeal considered the limitation period for wrongful dismissal claims. This case involved an employee who had been notified on December 12, 1994 that his employment would be terminated as of January 31, 1995. The Court of Appeal held that the limitation period started to run when the employee received the notice of termination (December 12, 1994) and not as of the date that the employee’s employment ended (January 31, 1995). Wrongful dismissal, in my view, raises a particularly difficult issue in the limitation context since it is not a dismissal per se that is actionable but rather dismissal without reasonable notice or salary in lieu of such notice, that is actionable. Accordingly, the limitation period for an action for wrongful dismissal does not necessarily run from the date of actual dismissal. It is activated when the cause of action is discovered – that is, the date that the terminated employee knew or ought to have known that he was discharged without cause and without notice or pay in lieu of notice and that a proceeding would be an appropriate way to get redress. The date of discovery may be later than the date of dismissal. In wrongful dismissal claims the cause of action usually arises when the contract was breached – i.e. when the employer dismissed the employee without reasonable notice: Jones v. Friedman, 2006 CanLII 580 (ON CA), 2006 CanLII 580 (ON C.A. ), paras. 3 and 4. Facts unique to a case may call into question that general principle and point to a later date as the one on which the claim was discovered: Webster v. Almore Trading & Manufacturing Company Ltd., 2010 ONSC 3854 (CanLII). Accordingly, there is at least an argument that the limitation period for wrongful dismissal claims may not start to run until the employee discovers or ought to have discovered that he or she had not received adequate notice of termination or pay in lieu of notice. In most cases, the employee would arguably need to consult with a lawyer to be able to discover this. Being that the law regarding limitation periods for wrongful dismissal claims is unsettled, lawyers should of course ensure that wrongful dismissal claims are brought within two years of notice of termination. Lawyers should not put themselves into a position in which they must attempt to rely on the Webster and Ng decisions if this can be avoided. Lawyers sometimes assume that the limitation period for claims against insurers for coverage begins to run when the insurer clearly denies coverage. Unfortunately, this can be a dangerous assumption as the relevant case law is conflicting. On one hand, the Ontario Court of Appeal’s decision in Kassburg v. Sun Life Assurance Co. of Canada, supports the proposition that the limitation period for a claim for coverage against an insurer does not start to run until the insurer clearly denies coverage. On the other hand, the Court of Appeal’s decisions in Schmitz v. Lombard General Insurance Company of Canada and Nasr Hospitality Services Inc. v. Intact Insurance support the proposition that the limitation period starts to run the day after the insured requests coverage. Notably, in Kassburg, which involved a claim for long term disability, the court was not specifically asked to decide whether the limitation period started to run when the claim was clearly denied (even the defendant insurer seemed to accept that it ran from the date of the denial). Rather, the court was asked, in the context of a motion for summary judgment, to consider whether the insurer’s denial letter constituted a clear denial or whether the limitation period only began to run after the insurer’s internal appeal procedure was exhausted. The motions judge in Kassburg found that the latter was the case. On appeal by the insurer, the Court of Appeal found that it was open to the motions judge to make this finding and dismissed the appeal. It is significant that the decision in Kassburg makes no reference to the earlier decision in Schmitz. Moreover, the decision in Nasr makes no reference to the earlier decision in Kassburg. It is also significant that while the majority in Nasr held that the limitation period ran from when coverage was requested, Justice Feldman delivered a strong dissent. Can lawyers have liability exposure to potential clients that they do not end up acting for? There is at least a risk that this can happen if a lawyer (or the lawyer’s firm) is in communication with the potential client but fails to warn the potential client about an applicable limitation period. In order to protect against possible liability exposure to non-clients, a lawyer or law firm should take the following steps in writing (and ideally also verbally) any time they consult with potential clients but have not been retained: a) confirm that they have not been retained; b) warn that the potential client’s claim is subject to a limitation period (and a notice period, if applicable) and that it is imperative that any lawsuit be commenced prior to the expiry of the limitation period; c) advise the potential client that the lawyer/firm is not in a position to advise as to when the limitation period expires (alternatively, lawyers can advise the potential client of when the limitation likely expires, but it would be prudent to also indicate that the potential client should not rely on this as the matter has not been fully assessed); d) advise that in light of the limitation period, the client should consult with alternative counsel without delay if the client is still interested in pursuing litigation; and e) confirm that the client was provided with a verbal warning regarding the limitation period in addition to the written warning (if applicable). Similarly, it is prudent for lawyers to warn existing clients in writing (and ideally also verbally) about limitation periods where: a) the client has a potential claim against a third party but has failed to provide timely instructions to commence litigation; or b) the lawyer’s retainer ends before the client’s lawsuit is commenced. Such a warning should ideally be given even if the lawyer believes that the client’s potential lawsuit lacks merit and is therefore not worth pursuing. Written warnings regarding limitation periods should ideally be delivered by hand or sent using a trackable delivery method such as registered mail or courier. Clients and potential clients can easily deny having received warnings sent by regular mail. It should be noted that a failure to warn clients and potential clients in the above-noted situations may not necessarily constitute a breach of the applicable standard of care. However, even if it does not result in a breach of the standard of care, failure to take these steps could still result in a claim by the client or potential client against the lawyer. Clients often have more than one potential claim arising from the same set of facts. For example, a client who is involved in a motor vehicle accident may have, among other things, a resulting accident benefits claim, tort claim, road authority claim, disability claim or even an employment law claim. While lawyers may limit their retainers to only some of a client’s potential claims, lawyers who do this could still have an obligation to alert the client to the fact that the other claims exist and to warn that such claims are subject to limitation periods. Accordingly, lawyers should give thought to what potential claims a client may have beyond the claims that they are being retained to handle and should advise the client in writing of these potential claims, the fact that the client will need to retain other counsel to pursue them, and the fact that the claims are subject to a limitation period (and a notice period, if applicable). Lawyers sometimes overlook limitation periods while settlement discussions are taking place. This mistake is sometimes made by non-litigators in circumstances in which the non-litigator tries to resolve a dispute that unexpectedly arose out of a non-litigation retainer without seeking the assistance of litigation counsel. There is authority for the proposition that settlement discussions do not generally stop the limitation period clock from running except where: a) the parties had agreed to have a neutral third party such as a mediator facilitate the negotiations; b) estoppel and/or waiver can be established (establishing estoppel and/or waiver in these situations is difficult); or c) the parties have entered into a tolling agreement. Lawyers who run into limitation period problems while in the course of settlement discussions sometimes ask whether they can attack the limitation period defence on the basis that the opposing parties were not prejudiced by the delay in commencing litigation (since the opposing parties were always aware that a claim was being asserted). Unfortunately, the issue of prejudice is generally irrelevant to whether a limitation period has expired (except in rare cases where the specific limitation period provision in question provides that prejudice may be considered). In circumstances where a potentially litigious dispute arises from a real estate or corporate transaction (or other non-litigation matter), clients will occasionally refuse to retain litigation counsel despite being urged to do so by their non-litigator counsel. In these circumstances, non-litigators need to do more than simply recommend in writing that the client see a litigator. They need to also warn the client in writing that there may be an applicable limitation period that could expire at any time and that they are unable to opine as to when the limitation period expires or take steps to prevent it from expiring because they are not litigators. It is dangerous to rely too heavily on clients to advise of material facts and relevant dates relating to a claim. Clients are often unreliable – especially with respect to dates. In some cases, readily available documents and information will contain facts that are inconsistent with the information provided by the client. The fact that a limitation period may have been missed due to inaccurate information provided by a client does not necessarily absolve the lawyer. Rather, a lawyer can possibly have liability exposure if: a) the lawyer is unable to prove that the client was the source of the incorrect information; b) the lawyer should have been able to obtain the correct factual information from documents or other sources, or by asking the client the right questions; and/or c) the lawyer failed to adequately warn the client of the importance of ensuring that the information provided by the client was accurate. When lawyers ultimately learn that they have been relying on incorrect facts, it is not uncommon for them to learn this from the client. Often, they learn about this while preparing the client for an examination or at the actual examination. The fact that this often happens suggests that lawyers can minimize the risk of this limitation period pitfall by more thoroughly reviewing the facts with their clients at the outset of the retainer and referring the clients to relevant documents, photographs and maps in an effort to jog their memories and assist them with articulating their version of events (the use of maps and/or aerial photos is particularly helpful in circumstances where it is important to be certain as to where an injury or event occurred). It is not always clear who should be named as a defendant at the outset of a litigation matter. In these circumstances, it is often prudent to name one or more John Doe defendants as place holders. The purpose of pleading a John Doe defendant is to protect the plaintiff and the plaintiff’s lawyer from circumstances in which it is later argued that they ought to have known the identity of the defendant in question, and that the limitation period was therefore missed. By naming a John Doe defendant, a plaintiff can usually avoid limitation period problems by substituting the John Doe defendant with the correct defendant upon learning of the identity of the correct defendant. It is important to plead the material facts that support the claim against the John Doe defendant. That said, it is equally important to avoid making the pleading so specific that it might not accurately describe the defendant that is ultimately identified. For example, in a slip and fall matter where it is not clear whether there was a potentially responsible maintenance company, it would be appropriate to name a John Doe defendant and then plead that John Doe was responsible pursuant to a contract or otherwise for maintaining the premises but that John Doe failed to do so. On the other hand, it might not be advisable to go so far as to specifically plead that John Doe had a maintenance contract with the owner of the property in question since it is possible that it had instead contracted with another party, such as a tenant. Limitation periods are often missed during or shortly after a litigation file is transferred between lawyers. In these circumstances, both the lawyer who is transferring out the file and the new lawyer can potentially be exposed to a claim. To avoid such situations, the following steps should be considered whenever files are being transferred between lawyers/firms: a) it is a good practice for a lawyer who is transferring out the file to advise the new lawyer, in writing, of any time sensitive issues including upcoming limitation period deadlines; b) it is a good practice for the lawyer receiving the file (the new lawyer) to request this same information in writing to the extent that it is not immediately provided; c) the new lawyer should consider making it clear in writing to the client and the original lawyer that he or she will not be accepting the retainer until he or she receives the file from the old lawyer; and d) the new lawyer should promptly review the file upon receiving it. Some lawyers seem to routinely wait until the last possible moment (or almost the last possible moment) to issue claims. Many limitation period problems arise out of situations where lawyers have done this. Holding off on issuing a claim for an extended period of time is in most cases a bad practice. Unless there is a good reason to hold off on issuing a claim, lawyers should aim to issue claims quickly. There are numerous problems that can arise from holding off on issuing a claim, even if the expiry date for the limitation period may seem clear and obvious. For example, what if the relevant dates provided by a client (or that are set out in key documents) turn out to be wrong? What if an error is made in diarizing the limitation period? What if the defendant is dead unbeknownst to the lawyer and section 38(3) of the Trustee Act therefore applies? What if a contractual limitation period was overlooked? What if you become ill just before the limitation period is about to expire? What if an administrative slip up occurs that causes the issuance of the claim to be delayed? What if the court staff reject the claim for some technical reason? Issuing a lawsuit at the last possible moment can result in limitation period problems even where it turns out that the lawsuit was issued within the limitation period. For example, if it becomes apparent from the defendant’s Statement of Defence or otherwise that a notice requirement was missed (such as the notice requirement under the Proceedings Against the Crown Act), it may be possible to cure this by giving notice and issuing a new claim, but only if the limitation period has not yet expired. Moreover, if it becomes apparent from information that comes out after issuing a lawsuit that the pleadings need to be amended or that new parties need to be added to the litigation, it may not be possible to do this if the limitation period deadline has passed. Ideally, lawyers should issue actions as soon as they reasonably can and should try to leave themselves sufficient time to complete examinations for discovery prior to the expiry of any limitation period. This will help to ensure that new claims can be pleaded without a limitation period issue if the need to do so becomes apparent as a result of the discoveries. If there is a legitimate reason for holding off on pursuing a claim, it normally a better practice to issue a claim but hold temporarily hold off on serving the originating process then to hold off on issuing it altogether. While efforts should be taken to ensure that the deadline for service is missed, if it is missed, this is usually repairable by way of a motion to extend service or validate service whereas a missed limitation period is normally fatal. If a defendant has pleaded that a clam is statute barred and the plaintiff intends to try to get around the limitation period by relying on discoverability, the plaintiff needs to plead the facts that support the discoverability argument in a Reply or otherwise. Failure to do this could conceivably preclude the plaintiff from being able to assert discoverability at trial or on a motion (notably, the decision in Collins v. Cortez suggests that failure to plead discoverability will not be fatal on a motion for summary judgment, as distinct from a motion to strike or other pleadings motion). What do you do if you realize many years into a litigation matter that an incorrect party was named as a defendant or plaintiff or that that you failed to name a necessary party. It is often possible to correct these problems notwithstanding the applicable limitation period by relying on one or more of the following: i) discoverability; ii) sections 6, 7, 11 and 16 of the Limitations Act, 2002, which set out various circumstances in which the limitation period may not run or apply; iii) section 21(2) of the Limitations Act, 2002, which permits the misnaming or misdescription of a party to be corrected after a limitation period has expired; iv) the doctrine of special circumstances (this doctrine is only available with respect to some limitation periods); v) setoff ; and/or vi) in some rare cases, Rule 2.01 of the Rules of Civil Procedure. In these circumstances, some lawyers opt to issue a separate new lawsuit against the desired party rather than bringing a motion to add the desired party to the existing litigation. The benefit of this approach is that it avoids the need for a potentially contested motion. However, this approach comes with some risk in light of the decision in Maynes v. Allen-Vanguard Technologies Inc., in which the Ontario Court of Appeal found that issuing a separate lawsuit can constitute an abuse of process. While the Maynes decision was subsequently distinguished by the Ontario Court of Appeal in Abarca v. Vargas, the law regarding whether it is permissible to issue a separate lawsuit in these circumstances remains in flux, and therefore issuing a separate lawsuit rather than bringing a motion may often (but perhaps not always) be unadvisable. In situations where section 21(2) of the Limitations Act, 2002 is being relied on, it is normally important that the new party be substituted for an existing party to the litigation. That said, the courts have indicated that it may be possible in certain limited circumstances to rely on section 21(2) of the Limitations Act, 2002 to add a new party to litigation rather than substitute a party. Unfortunately, lawyers sometimes “freeze up” upon learning that an appropriate party was left out of a litigation matter, perhaps because they do not know how to fix the problem or assume that it is too late to fix the problem. This can be the worst thing that a lawyer can do in these situations, as delays in bringing a motion or issuing a new lawsuit to fix these problems can be fatal. Notably, in situations where a motion is brought to add a new party, the limitation period clock stops running as soon as the motion is served. Lawyers should ideally consider limitation period issues (and notice requirements) as soon as they accept a new retainer (or even upon contemplating a new retainer). Lawyers should avoid arrangements in which they accept retainers automatically or where non-lawyers accept retainers for them, as such arrangements create circumstances where limitations periods can be missed before the lawyer even knows that he or she has been retained. Limitation period deadlines should be promptly diarized. A lawyer’s diary system should ideally be set up so that it can withstand multiple errors (for example, it could be designed to require the dates to be diarized by more than one person in more than one place). The system should also be set up to ensure that even if the lawyer who was handing a particular file becomes ill or leaves the firm, that another lawyer will be notified on a timely basis of the deadlines. Firms should be alert to the fact that limitation periods can be an issue even when acting for defendants, since Counterclaims, Crossclaims and Third Party Claims also have limitation periods. The limitation periods for these types of claims also need to be diarized. Firms should ensure that every file is assigned to a lawyer at any given time, and that there is a written record as regarding which file is assigned to which lawyer (to avoid confusion). When a lawyer leaves the firm, the lawyer should normally be asked to prepare a transfer memo and the transfer memo should always address any limitation period deadlines that may exist. This should be obvious but it nonetheless needs to be said: taking on too many files undoubtedly increases the possibility of errors including missed limitation periods. Although the above-mentioned list of pitfalls is by no means exhaustive, it covers many of the situations that lead to missed limitation periods. Accordingly, lawyers who successfully avoid the above-mentioned pitfalls (perhaps easier said than done) stand a good chance of avoiding limitation period problems altogether. ¹ This article was originally drafted and published in April 2017 and then updated in March 2019. Thank you to Tova Cranford and Chantelle Dallas for assisting with editing and noting up the case law. Great article. Good review of this area of law. Great article. Very helpful for a quick and dirty overview.